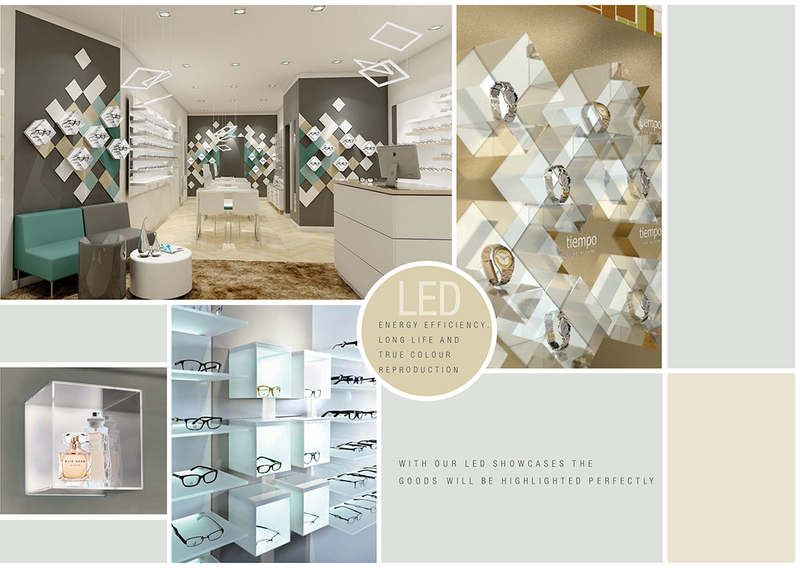 Nowadays, the LED technology is a fully integrated part in the business of forward-looking shop fitting. 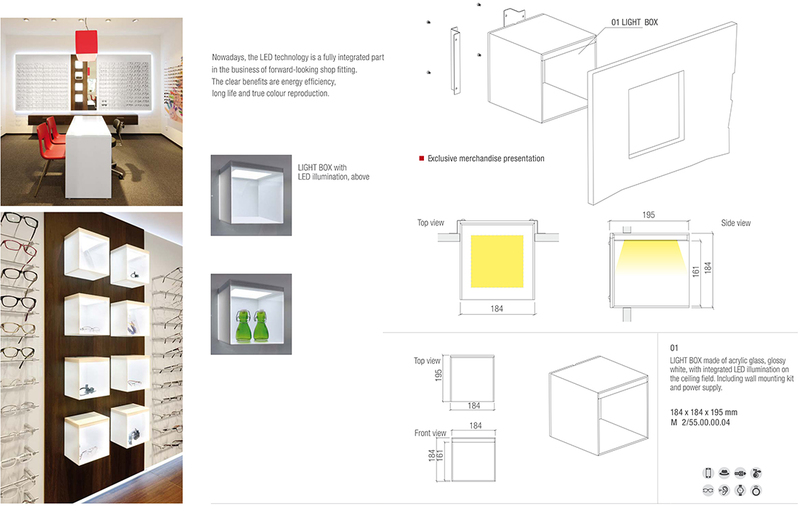 The clear benefits are energy efficiency, long life and true colour reproduction. 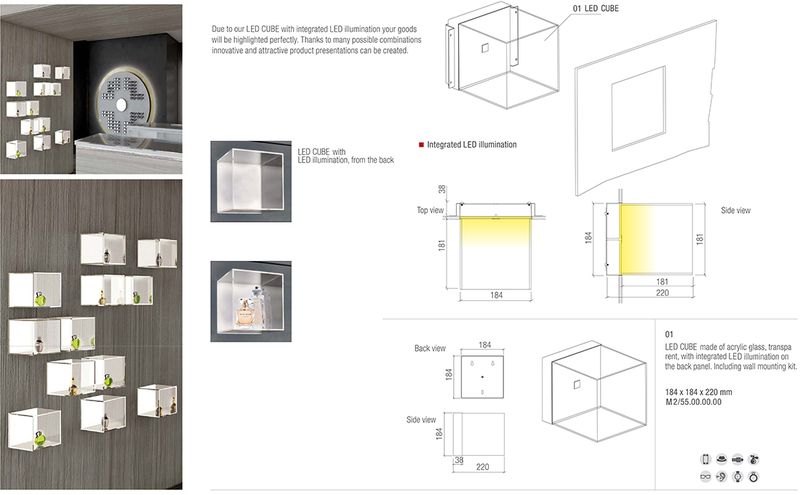 Due to our LED CUBE with integrated LED illumination your goods will be highlighted perfectly. 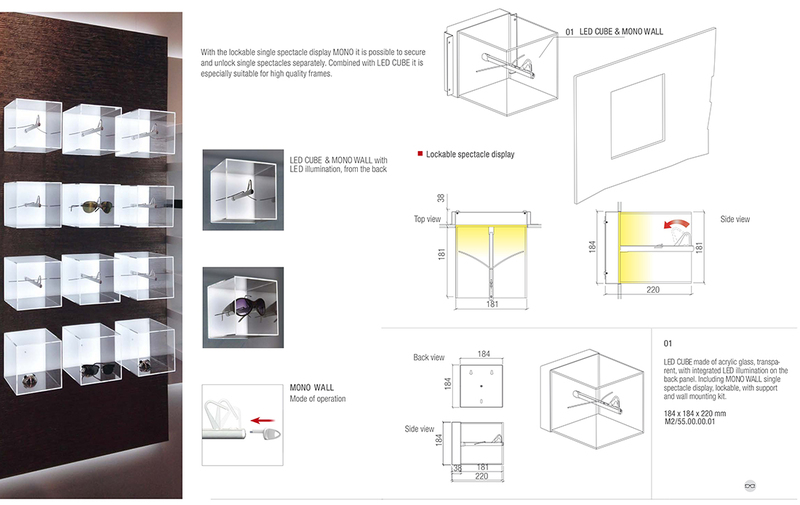 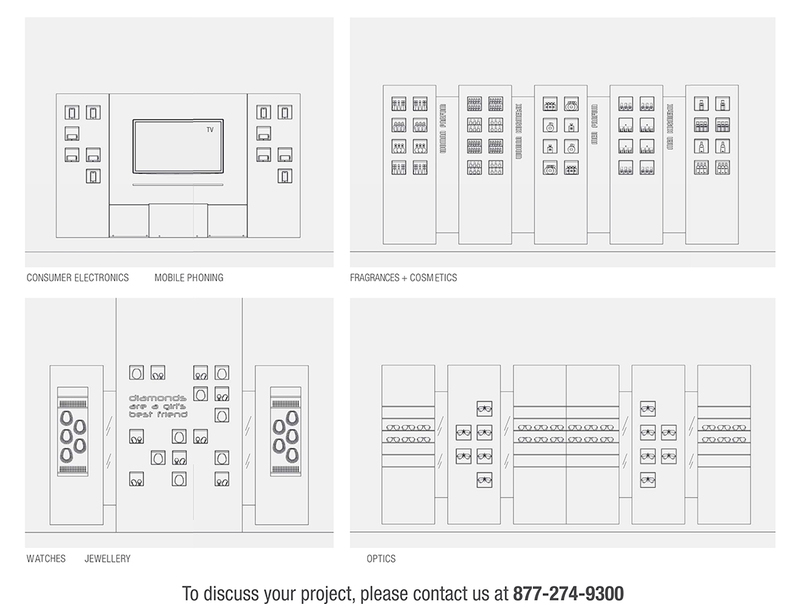 Thanks to many possible combinations innovative and attractive product presentations can be created.